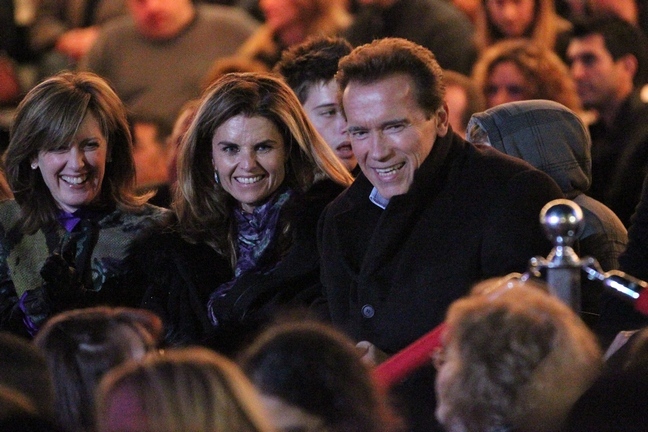 Mildred Baena speaks out for the first time about confessing to Maria Shriver that Arnold Schwarzenegger was the father of her child. Mildred spoke with Hello magazine about how she finally broke down and told Maria about the affair. "Last summer, I brought Joseph over to the house. Until then, he hadn't been around very much. After that, people in the house started whispering about how much they looked like each other." "Maria would ask if I needed to talk to her, and I kept saying no. Finally, she asked point blank. Maria asked me directly if Joseph was Arnold's son, and I just broke down. I dropped to my knees and I was crying, saying that yes he was and I was so sorry. She cried with me and told me to get off my knees. Since I was retiring soon, I said I would pack and leave right away, but she said to stay until after the holidays." Mildred (aka Patti) says she never told Arnold that Joseph was his. And she wishes him nothing but the best. "He's a good man and I know he's suffering too. He loves Maria. I hope with time they work things out."